There are few meals that capture comfort quite like meatloaf does. However, the traditional sit-down family meal centerpiece is anything but animal-friendly. It’s based in meat, after all. 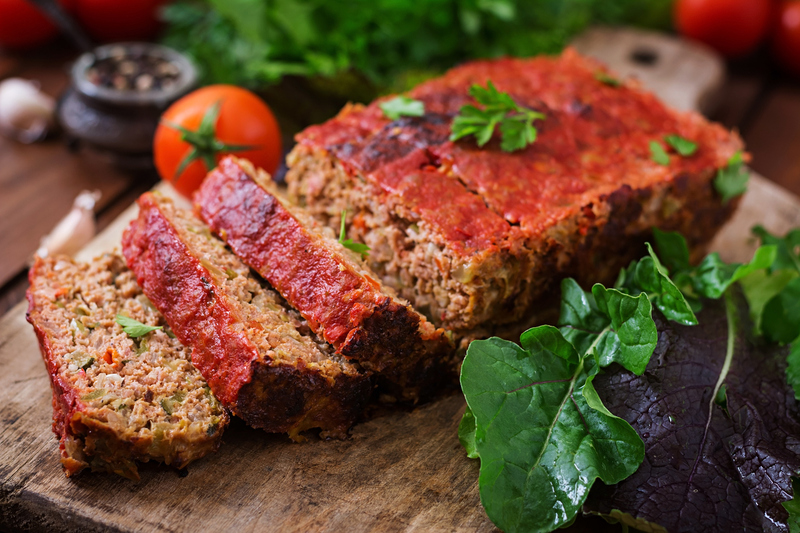 While it may be difficult to capture the exact meatloaf experience with animal-friendly ingredients, the following vegan lentil loaf recipe sure comes close. The experience is just the same – each bite is warm, rich, filling, and full of flavor. You and your family will walk away completely satisfied, and healthier because of it! There are no enigmatic ingredients in this lentil loaf recipe. All of the ingredients are straightforward and what you’d likely find in a traditional meatloaf recipe. Instead of eggs and meat, however, the recipe calls for flax “eggs” and a lentil, walnut, and almond “meat”. The apple glaze is essentially a homemade version of refined sugar-free ketchup that is sweetened with some maple syrup and apple butter for a hint of seasonal charm. Together, the loaf and the glaze make for the perfect winter meal. Enjoy! Rinse the lentils and then transfer them to a pot with three cups of water. Bring the water to a boil then reduce heat to a simmer. Let simmer for about 30 minutes, stirring frequently. After the lentils have soaked up the water, use a spatula to mash them so that they make a thick, rough paste. In a small bowl, whisk together the flax meal and water. Set aside for five minutes prior to using. In a saucepan over medium-high heat, add in the olive oil, garlic, and onion. Stir while cooking. Once the onion begins to turn translucent after a few minutes, stir in the celery, carrot, apple, and raisins. Cook for another five to 10 minutes and then transfer the mixture to a large bowl. Fold in the remaining loaf ingredients and mix until well combined. Line a loaf pan with parchment paper and firmly press the loaf mixture into the pan. Meanwhile, in a separate bowl, whisk together all of the apple glaze ingredients together until smooth. Spread about half of the apple glaze mixture across the top of the loaf, reserving the rest of the mixture for topping later. Pop the loaf into the oven and cook for 40 to 45 minutes or until lightly browned and firm. Let the loaf sit at room temperature for 15 minutes before serving, with the extra sauce being used as a topping. Can a Loaf of Bread Decrease Greenhouse Gas Emissions?